Back in January, Milk Company Toys made our hearts warm with their “Inari” prototype. From the guys who brought you the STONED DOOOG and IRON DARUMA! some MORE incoming cuteness from Milk Company Toys! over the past 48 hours new images have surfaced with new characters and just as sweet as Inari, we’ve already fallen in love with the silhouettes, especially of Inari. 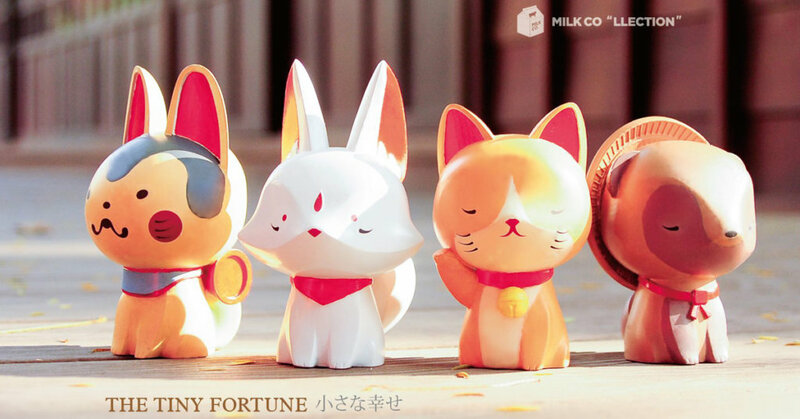 Milk Company Toys presents to you 小福獸 The Tiny Fortune series.